I had Mandi of Find Me a Muse come round for lunch at my place for our weekly catch up session. It's more a case of giggling and laughing non-stop while stuffing ourselves silly. 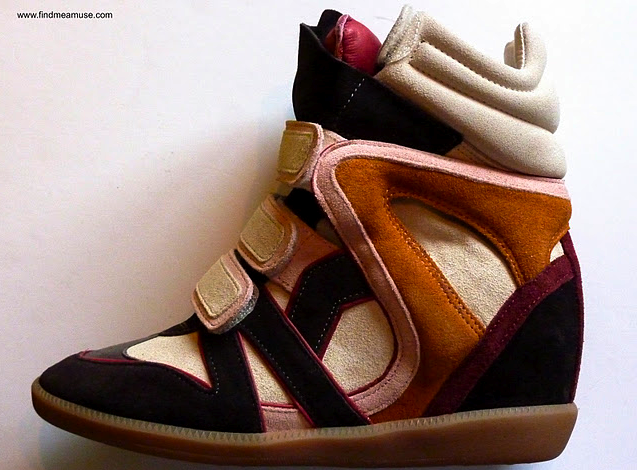 It was also an excuse for me to molest her new Isabel Marant Willow sneakers and ogle at her amazing sweaters, also by Isabel Marant. She brought along a present for me. A bad bad idea. She was incredulous to discover that I, a foodie who visits London like it's my second home have never ever walked into Fortnum & Mason. Sure, I'd ordered from them before but I was too much of a coward to attempt a visit to the famed store in the weekends. Unless I'm armed with pepper spray, spikes on my elbows and helmet to brave the crowds, I wouldn't dare to take a step inside. Mandi insisted I had to try their handmade fudge. Resistance was futile after the first bite. A single slab probably has more than a million calories. Apparently, it was made using a traditional recipe where the mixture is still boiled in copper pans to this day. Whatever. Hubby, Lil L and I ravaged the box and nearly started World War 3 fighting for the last piece. I've just placed an order for more. As gifts. If I managed not to gobble them up before wrapping them up. 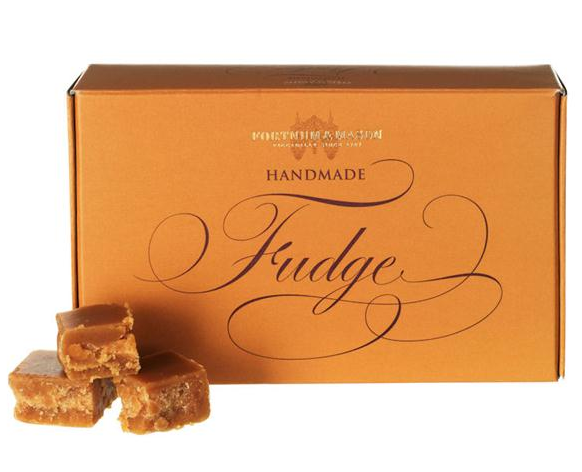 oh wow the fudge looks so yummy & fancy! Oh boy, Fortnums is my favourite shop in London. If I ever gets terminal illness, I'm only going to eat F & M food. Ha ha ha haaaaaaaaaa.... Glad you enjoyed the fudge! Oh to be a fly on the wall for the family squabbles. It's the same with us. We all eat as much as we can before someone else polishes off the box! Word of advice, don't even attempt to brave F&M at this time year. It's a breeding ground for serious shopper rage and bodily harm! uhh i'm curious to taste that Fudge!!! looks so yummy!!! your friend got a nice sneakers there cool!!! OMG I've never had that fudge! It looks so good, I'm still using some yummy F&M jam and mustards that came in a gift hamper - I need to get this fudge one day! just a quick one as after much prompting Mandi has encouraged me to start my blog, it will take a bit to get going, but should be fun, wanted to say thanks so much for having us over and looking after us while we were back, Mandi left today so it was a sad day, but she really loved the time she had with you, and we both look forward to seeing you all soon. Take care guys and happy new year to you all. Hey Tom, was thinking of both of you today. I'm going to miss her dreadfully too. It's always a pleasure having you guys come over. Will send you a text in the coming week to have you over for a meal with us. Good on you for starting a blog. I'll have much to learn from your photographs!